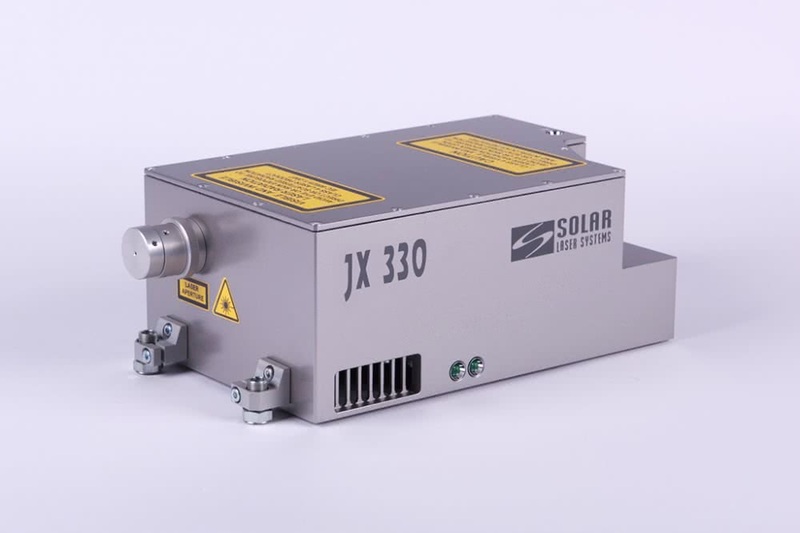 Diode-pumped lasers of the JX300 series have a number of unique design features ensuring their failure-free and stable operation in a wide range of environmental conditions. Unpretentiousness to operating conditions and excellent beam quality will satisfy both scientists performing fine scientific experiments and industrial sector users. TEM00 beam and excellent long-term stability are ensured by the original optical scheme and built-in power meter with the feedback system. 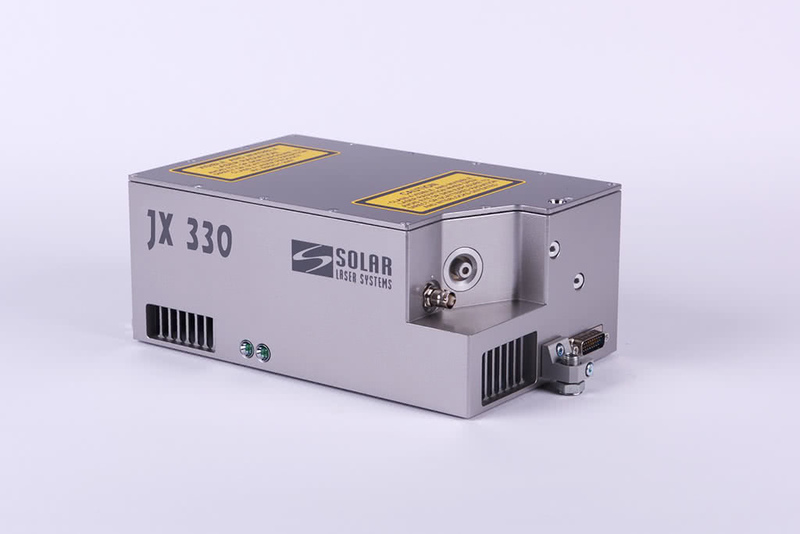 It allows the JX300 series lasers to perform both fine material processing operations and high accuracy scientific measurements. The JX300 series lasers ideally suit for integration into any specialised equipment. This feature is conditioned by a small footprint and completely “dry” laser head design based on the Peltier cooling technology. 24/7 operating mode with prolonged service intervals is ensured both by high reliability of the cavity optics and the mechanically rugged dustproof laser head design. Intracavity harmonics generation reduces the radiation density inside non-linear crystals which makes their operation infinitely long. The specified laser parameters are provided at reduced pump diodes current prolonging their lifetime. 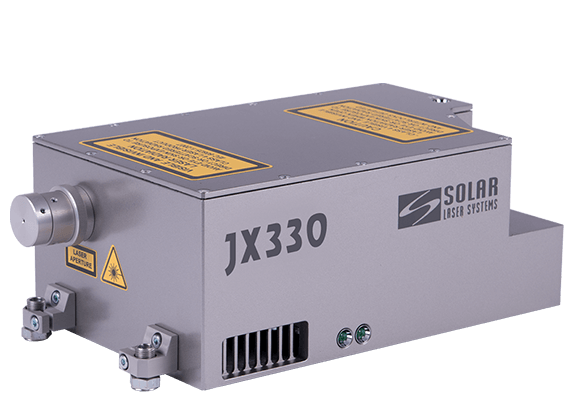 As a result, the JX300 series lasers demonstrate long-term and failure-free operation in the toughest operating conditions. Routine service even in the workshop facilities is possible now due to the pump scheme which integrates the laser diode into the power supply. Besides, almost all optical components and consumables can be replaced by trained staff at the Customer’s site avoiding costly shipments and equipment downtime. Laser heads and power supplies are interchangeable which also considerably simplifies service and reduces its cost. 1) Specified at 30 kHz. 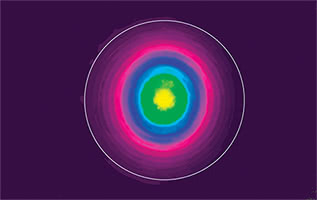 The JX330 laser typical far-field beam profile. 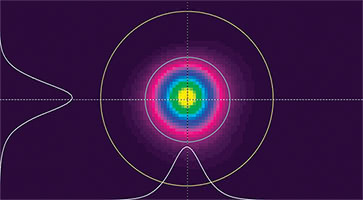 The JX330 laser typical near-field beam profile. 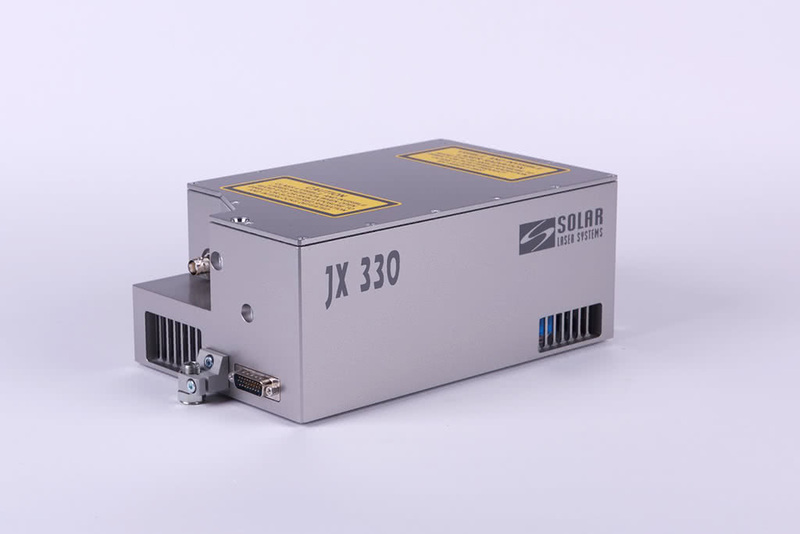 The JX330 laser typical output power stability chart. Measurement duration: 24 hours. Mean 3.04W / St.Dev. 6.83mW. 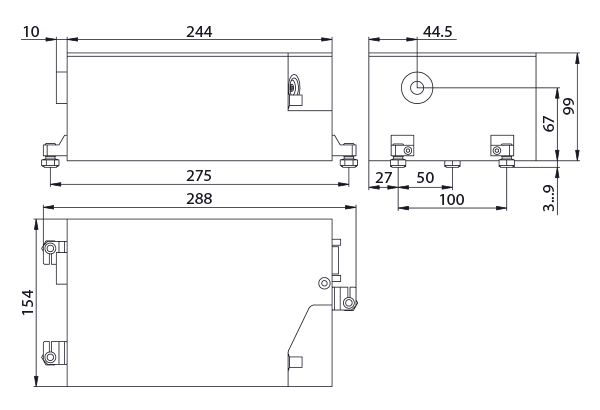 The JX330 laser head outline drawing.